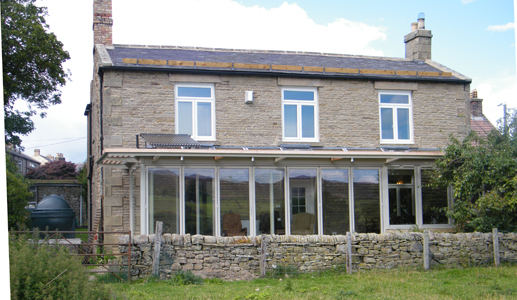 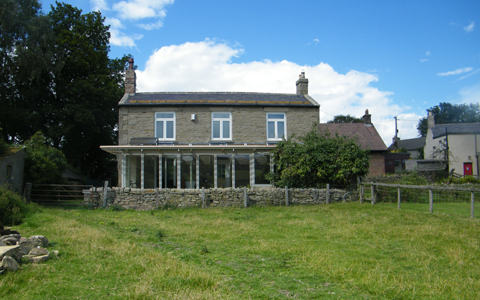 The existing 19C stone farmhouse is in a Conservation Area, set back from the road with garden on two sides with farmland to the rear; the south. 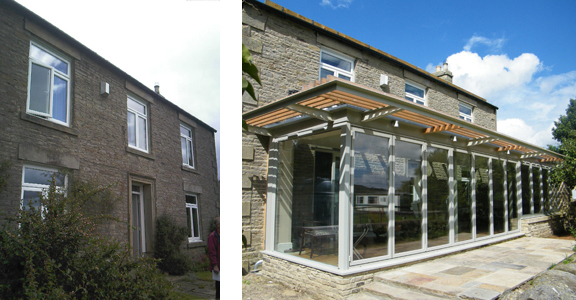 The client’s brief to improve the thermal performance of the whole house was achieved by lining internal walls, reducing draughts and increasing the loft insulation. 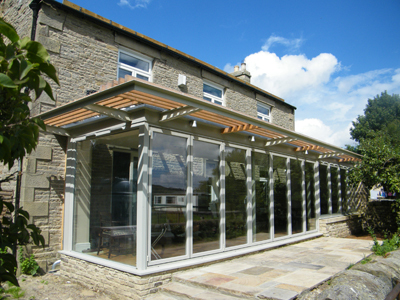 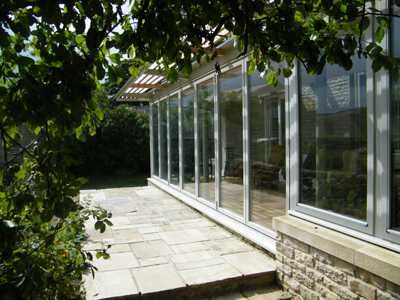 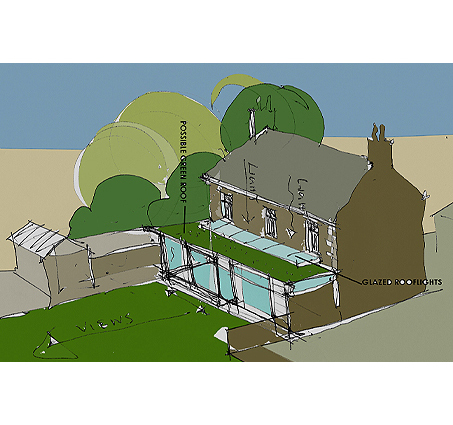 The garden/sunroom provides a thermal buffer to the rest of the house, and exploits the southerly aspect and view. 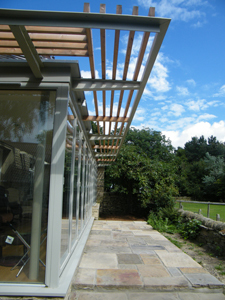 Hot water solar panels are mounted on the new roof. 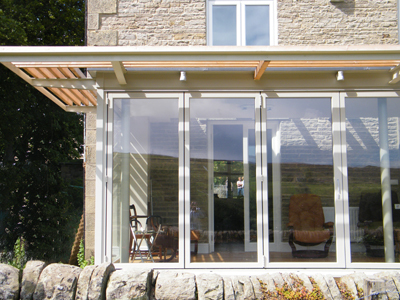 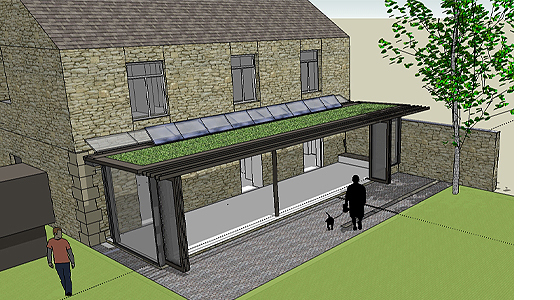 The garden room is simple and contemporary, contrasting with the existing . 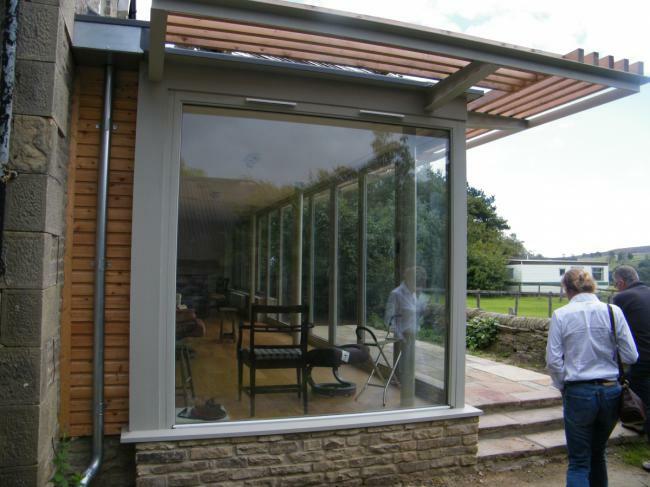 It is transparent allowing the existing building to read through it. 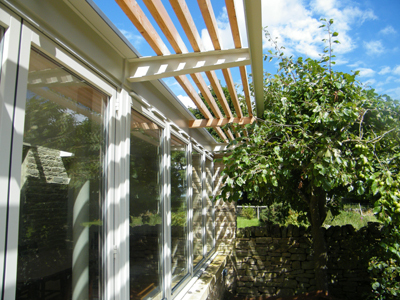 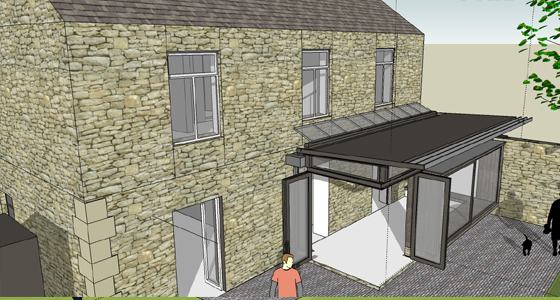 A strip of rooflights visually separates the new extension from the house and brings light into the existing rooms. 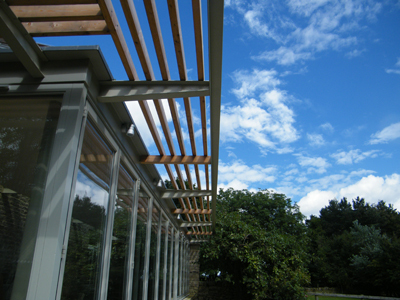 The sedum roof on a highly insulated timber deck gives increased thermal capacity, slows the run-off of rainwater and increases biodiversity. 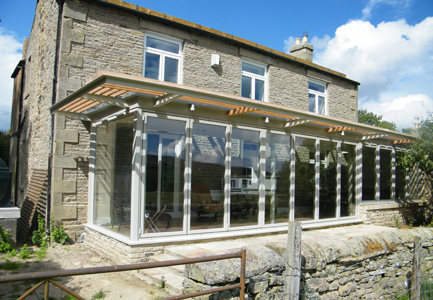 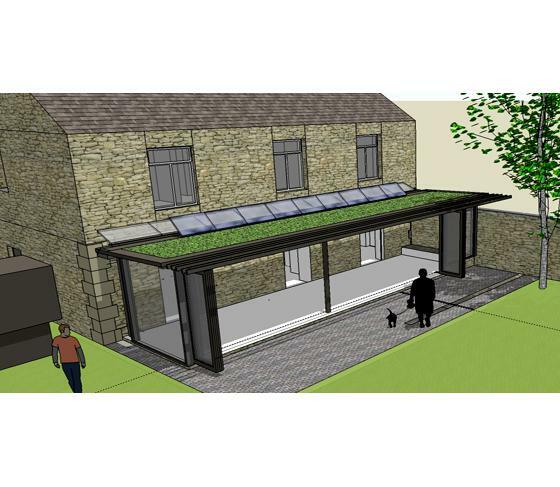 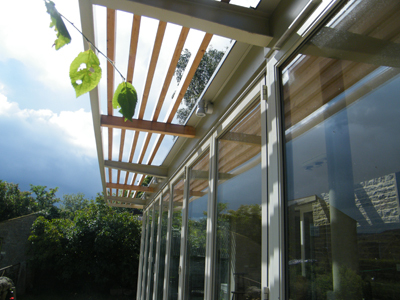 Solar shading provides domestic hotwater. 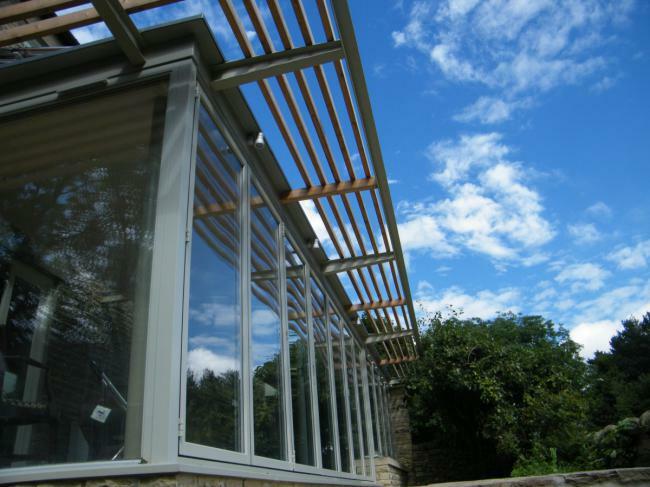 Materials are glazed timber framed windows and doors, two slender steel columns support the roof and solar tubes provide heating for hot water and shading from the sun.